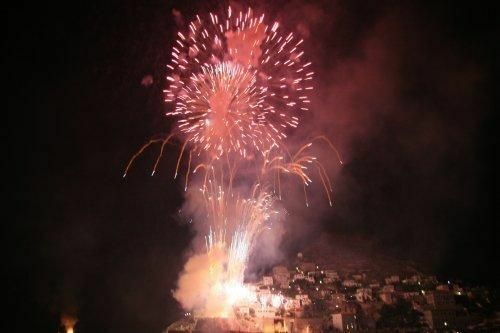 Miaoulia: It is the most famous festival of the island and it is held to honour Andreas Miaoulis, native of Hydra, who was an heroic Admiral of the Greek Revolution against the Turks (1821). 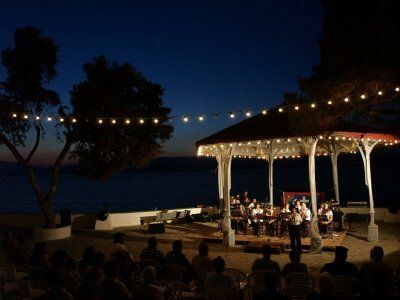 The festival is part of the "Navy Week", it lasts three days and takes place on the weekend which is closest to the 21st of June. During this weekend, Hydra fills with people and yachts from all over Greece. 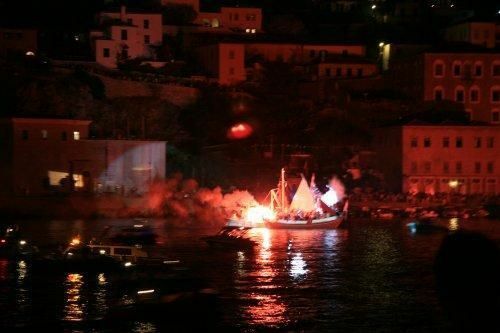 The highlight of the festival is the spectacular representation of the burning of the turkish flagship, which is held during the closure, on Saturday night. 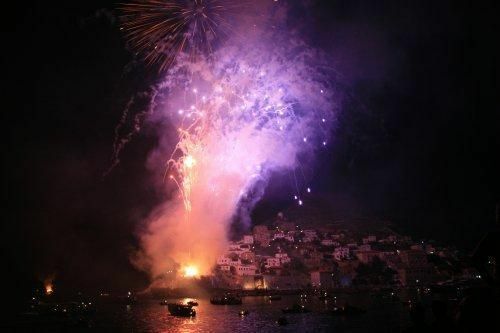 Numerous fireworks explode in the little harbour, creating one of the most impressive and touching scenes one may experience. It is worth watching the spectacle from above. Hydra resembles to a large open theatre where the explosions echoe and the fireworks along with the burning flagship sparkle in the dark! 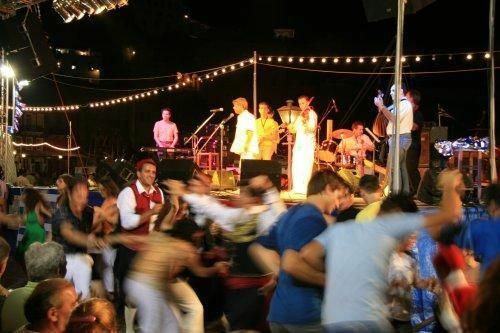 During Miaoulia many other social and athletic events also take place, such as races, dances, concerts etc. Puppet Show International Festival: It is a very interesting non profit festival. The actors do not get paid and the entrance is free to the public. It takes place every year, on July, and gives the chance to the locals and the visitors to get to know the marvelous puppet plays and the puppeteers. Greek Orthodox Easter Celebration: The celebration of Easter in Hydra is a unique experience and attracts many Greeks and tourists from all over the world. 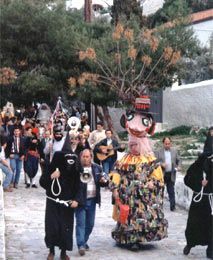 In case you visit Hydra during the Easter, don't miss the Epitaph celebration that takes place in Kaminia, on Good Friday's night. The majestic service is held outdoors where the the faithfull's candlelights sparkle in the dark. Young boys come from the sea with the epitaph on their arms, giving the impression that the epitaph itself emerges from the sea. It will be one of the most atmospheric scenes you've ever experienced! 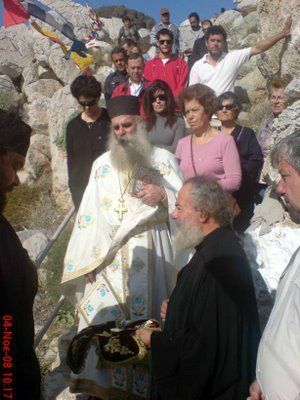 On Good Saturday night, the majestic service of the Resurrection is also held outdoors by all the churches of Hydra. The main service takes place on the quay, in front of Kimisi (Dormition) Cathedral. The hundreds of the faithfulls hold candlelights that sparkle in the dark and and when the clock strikes midnight, the bells ring joyfully and impressive fireworks explode in the sky. On Easter Sunday, an effigy of Judas is burned and everybody celebrates the Ressurection of Jesus Christ. 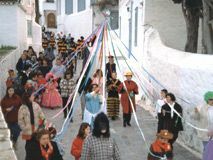 Carnival: Many people take part in Hydra's carnival and enjoy the parades, the dances and the other events that take place. 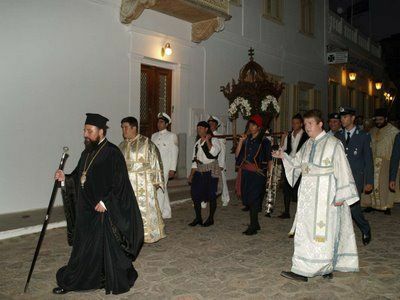 The celebration of Saint Konstantinos of Hydra: It takes place on the 14th of November, at the church of Agios Konstantinos in "Kiafa", which lies in the area where his house used to be. 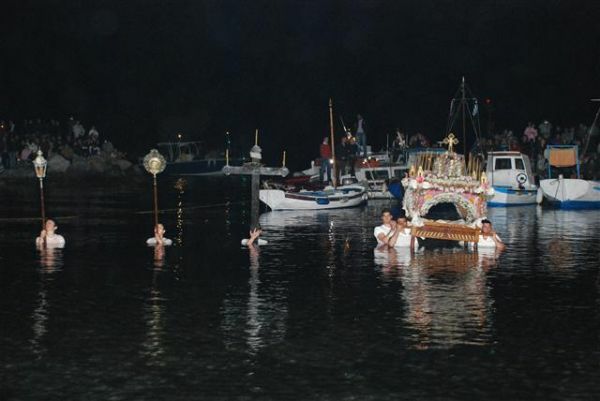 The celebration of the eight Protector Saints of the island (24th of June) and the celebration of Virgin Mary (15th August), which is one of the most important greek-orthodox relegious celebrations and numerous fairs take place all over Greece. 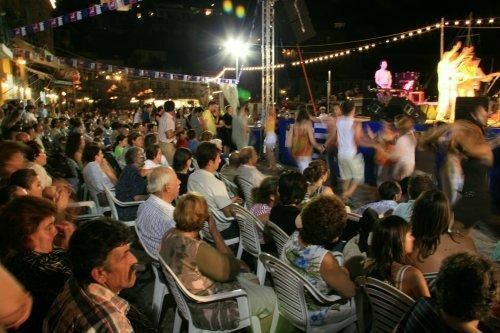 Other Events: A variety of other events take place in Hydra, mostly during the summer, such as art exhibitions, concerts etc. 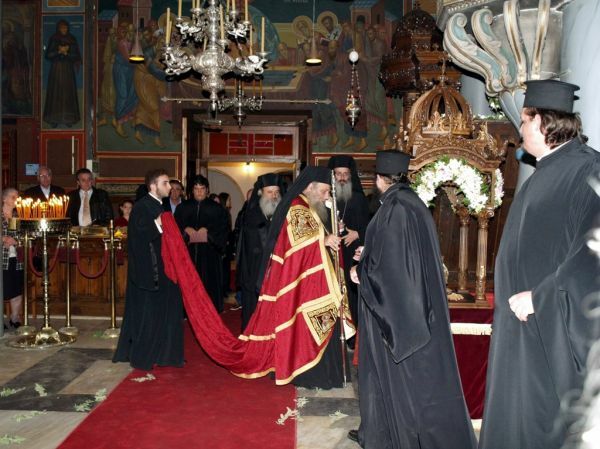 Moreover many confereces and meetings also take place on the island, such as the Orthodox Scientific Meeting.